Santa Monica | Mia Hungry Long Time! My dear shimmering glistening beautiful little cherubs, I dare you to tell me that the picture above is not the most beautiful sight you’ve seen today. Amiright amiright? You’re welcome. Okay peeps, today I will take you to a magical place called Cha Cha Chicken. This place is seriously off the hook delicious. 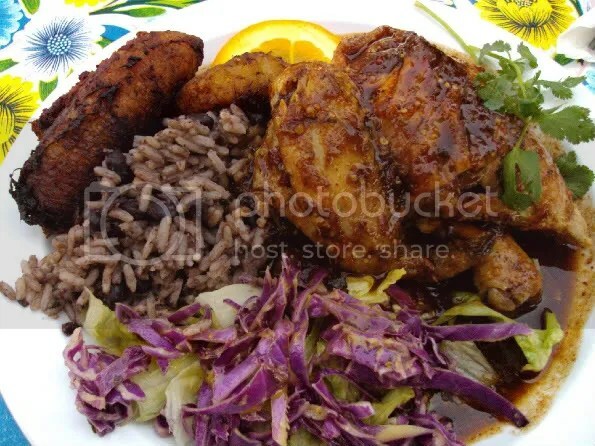 It’s a Caribbean joint in Santa Monica, LA. Yup, we are still in LA. I have saved the best for last for this place is ridiculous. Do you guys know that Henry IV was such a chicken fiend that he once said, “I want there to be no peasant in my kingdom so poor that he cannot have a chicken in his pot every Sunday” ? True story. Well if dude was still kickin’ it today, he would’ve said “I want there to be no peasant in my kingdom so poor that he cannot have a cha cha chicken in his pot every Sunday,” because their chicken is bananas. welcome to my food blog. my name is mia. i’m a 30 year old food obsessed indonesian (jakarta born and raised, woot woot) who’s been living (happily) in brooklyn, new york, for the past eleven years. i am not a chef, nor a culinary writer. but i know what i love (read:food) and i’m here to share the love. Food at The Atlantic – look for Grant Achatz!